From professional chefs to amateur cooks, we all make mistakes in the kitchen. Underbaked cakes, overcooked pizza, burnt on the edges yet raw in the middle lasagne? Yep, we’ve all been there. Have you ever considered that maybe your questionable cooking might not be the problem? We know a shoddy workman blames their tools, but we’re serious when we say your oven could actually be to blame for at least some of your cooking mishaps. We aren’t promising that a new oven will transform you into the next Jamie Oliver, but with their clever Multiflow technology, a Hotpoint oven could be all you need to take your signature lasagne from complete disaster to completely delicious – and from 28th November selected Hotpoint ovens are ‘buy now and pay nothing for 12 months’ at AO, meaning you won't pay a penny before Christmas (freeing up funds for that swanky party outfit!). There are few things less disappointing than putting a tonne of time and effort into making a lasagne or slaving over a crumble and it coming out the oven with blackened edges and a cold, undercooked middle. But don’t beat yourself up about these kinds of culinary failures, as they’re easily avoidable – the best ovens will cook food perfectly evenly whilst accurately maintaining the temperature that’s set on the dial. Hotpoint’s Multiflow ovens distribute even heat to all corners of the oven, meaning your dishes come out perfectly cooked every time. If you often use olive oil to roast your meats and veggies try switching it for vegetable or rapeseed oil. While olive oil tastes dreamy in salad dressings, it's not the best to roast with as it has a low smoke point, which means it starts to burn at a lower temperature. Always seem to get soggy food that never wants to brown? You’ve probably not given your dishes enough space in the oven. If you want to achieve beautifully crispy roast potatoes as part of your family roast dinner then a large capacity oven is must for you. Hotpoint ovens offer up to 73 litres of capacity, so there’s space for you to have all the family round for a bite to eat. Don’t worry, we’ve all been there. 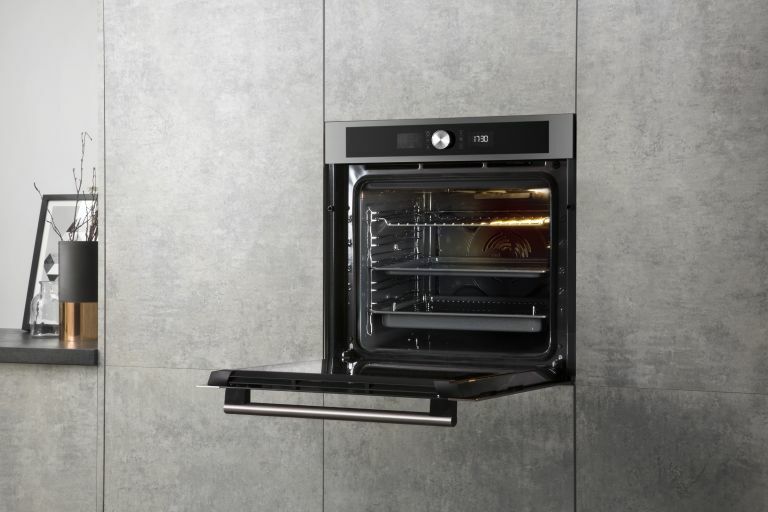 But you can forget about dry chicken dinners as some Hotpoint ovens have dedicated cooking programmes, so you can pick the setting that perfectly suits your meal – there’s even a dedicated pizza setting, clearly Hotpoint know our life priorities. Cooking in a dirty oven is never ideal, splatters of fat and food residue can soon burn on and leave unpleasant smells. Plus nobody enjoys cleaning the oven, so Hotpoint ovens feature a variety of easy cleaning methods so you don’t have the dreaded chore. Hotpoint pyrolytic ovens heat up the cavity to 470 degrees, turning burnt on food to ash, which you can quickly and simply wipe away with a damp cloth. The oven even locks itself during the cycle for total peace of mind. We can give you all the tips and tricks to help you avoid cooking mishaps but they will only get you so far – let’s face it, if your oven has helped you through the Christmas dinner for the past decade, then it might be time to treat yourself to a new bit of kit. Sure, maybe oven shopping isn’t the most thrilling kind of shopping, but with AO.com you can have a Hotpoint oven delivered right to your door FOR FREE! Plus, their price match promise means you can relax knowing you’re getting a great deal. Place your trust in AO this Christmas, with over 100,000 customers leaving Trust Pilot reviews with an average rating of 9.2/10, you know you are buying from the best-rated online electrical retailer in the UK.